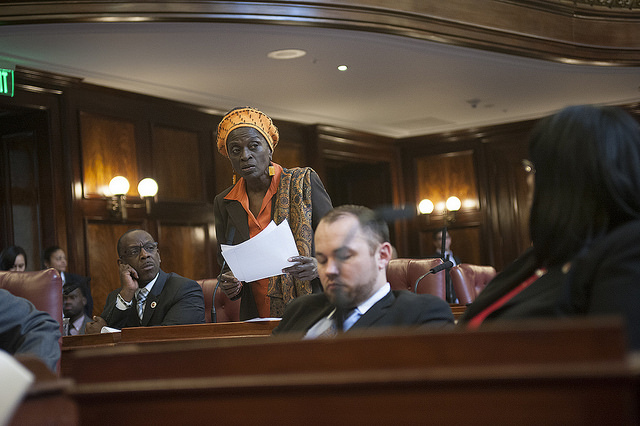 The hearing was helmed by Higher Education Committee Chair Inez Barron, who represents parts of Brooklyn, is a Hunter College graduate and former public school teacher, and has long argued that CUNY should be tuition-free for all students. The hearing touched on various issues that have been associated with CUNY for years, such as the increased use of adjunct professors in the system, potential for new hiring, and the role CUNY plays as a vehicle for upward mobility. The total CUNY budget request for this coming fiscal year, from all sources, is $3.9 billion. Within the CUNY system, the main recipients of city dollars are community colleges; senior colleges are mostly funded by the state. Under the “predictable” tuition increase plan, in place since 2011, tuition at CUNY’s community colleges has increased by nearly 50 percent, from $3,600 to $4,800 annually. Unlike the senior colleges, however, the community colleges have now had three straight years of tuition freezes. At Thursday’s hearing, CUNY administrators said that if a requested increase in state funding of $250 per student “full time equivalent” is not provided, the community colleges may have to unfreeze tuition rates. “This increase in state funding, along with continued city support, would adequately support community college operations and enable the university to freeze community college tuition rates for a fourth straight year,” said Matthew Sapienza, CUNY’s senior vice chancellor and chief financial officer. Mayor de Blasio’s preliminary budget, released in February, calls for $1.181 billion for CUNY in fiscal year 2020, which begins July 1 of this year. This is a decrease from the $1.196 billion in the adopted budget for the current fiscal year, and includes a $14 million cut for community colleges specifically, from $1.143 billion to $1.129 billion. For community colleges, labor costs will grow by $16 million, from $792.2 million to $808.6 million, due to collective bargaining agreements, while the “other than personal services” allocation shrinks from $350.9 million to $320.1 million, mainly from a $34 million cut to the budget for “supplies and materials,” according to a City Council report. The mayor’s preliminary budget also includes appropriations for senior colleges ($35 million) and for the public K-12 schools on Hunter College’s campus ($18.2 million). Both of these are essentially flat from the current budget. The rest of CUNY’s budget comes from the state, the federal government, student tuition, scholarships, and grants. The CUNY administrators present highlighted several key areas they hoped the Council would help fund, including expansion of the successful Accelerated Study in Associate Programs (ASAP) initiative, efforts to address student food insecurity, and expansion of CUNY’s childcare program, which is not present at every school. 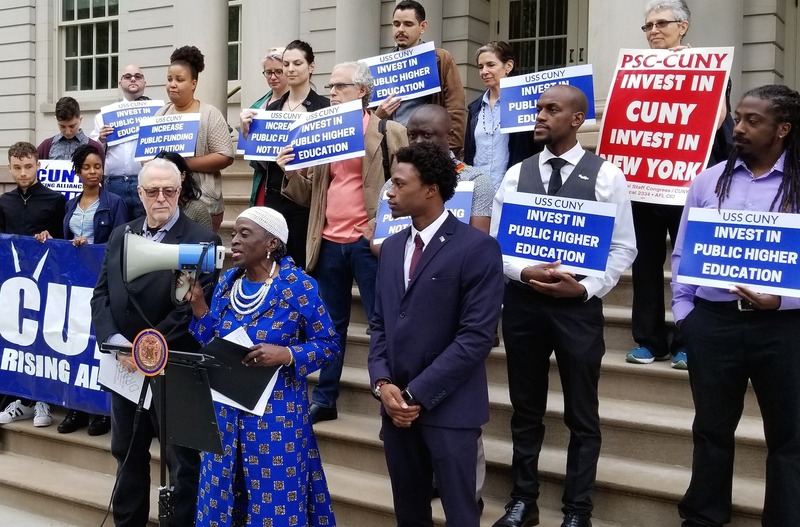 The administrators also called for the Council to help significantly increase funding for CUNY’s associate programs, funding for which has remained flat for over 20 years, by matching the funding to inflation. That would double the programs’ funding, from $32.3 million to $65.1 million. Over the next four years, CUNY wants to hire 800 new full-time faculty, an attempted departure from the adjunctification trend in at its schools and across higher education. CUNY’s labor force now counts 7,600 full-time instructors and 13,000 adjuncts, who make as little as $3,200 per course, do not have job security, and often have to teach multiple classes per semester at different schools just to make a meager living. The Professional Staff Congress, a union that represents full-time and part-time CUNY instructors, is aiming to both lessen the university’s reliance on adjuncts and double adjunct pay per course. Among those who attended and asked questions other than Barron were Council Members Ydanis Rodriguez, Robert Holden, and Ben Kallos. On the capital front, major renovations at several colleges, many of which consist of old and somewhat neglected buildings, are included in the mayor’s preliminary capital plan for fiscal years 2019-2023, including $5.9 million in city funding for a major renovation at Hostos Community College in the Bronx. Not included, but requested, is $50 million for a permanent home for Guttman Community College in Manhattan, CUNY’s newest institution. The Council’s preliminary budget hearings will continue for the rest of March, analyzing the mayor’s preliminary budget proposal. The Council will then release its formal budget response and then the mayor will release his executive budget proposal, triggering additional Council hearings. 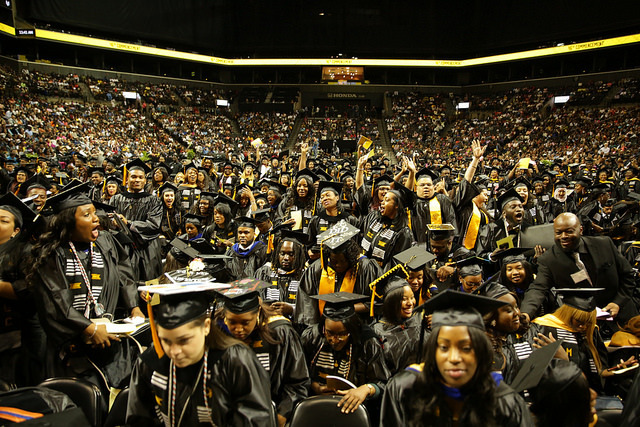 New York’s community college students face long odds of graduating. Only 25 percent of community college students statewide—and just 22 percent in New York City—earn an associate’s degree in three years, an enormous barrier to economic opportunity in a state where a college credential is becoming the floor to career success. There are multiple reasons why so many New Yorkers aren’t making it through college, but one major driver is clear: far too many students entering community colleges in New York are being pushed into remedial education programs. Recognizing that developmental education is unintentionally derailing students from the path to a degree, both CUNY and SUNY are taking important steps to reform this system from the ground up. 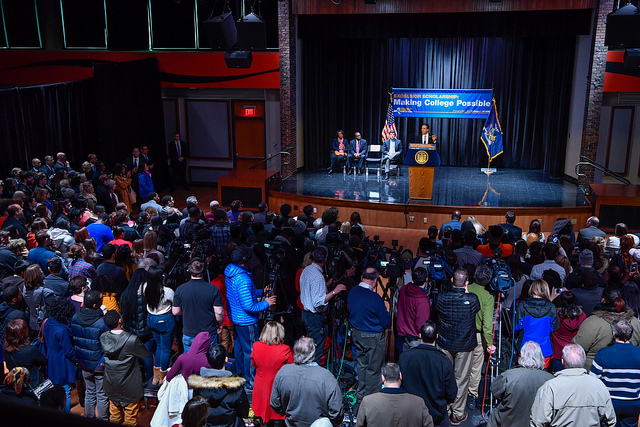 Governor Cuomo and the State Legislature should support these essential efforts by setting broad goals for reducing the number of students in remedial programs and funding innovative alternatives at community colleges statewide. Remedial education has long been viewed as a necessity, since large numbers of students enter the state’s public colleges academically underprepared. At New York’s community colleges, which take all applicants and serve thousands of low-income and first-generation college students each year, most students enter struggling with at least one core subject like math or reading, and the majority are placed into remedial education. But researchers now know that traditional remedial programs aren’t working. Students entering these programs are far more likely to drop out by the end of their first year, and the vast majority will fail to graduate with a degree—even as studies show that many students could have succeeded by staying out of developmental education entirely. In recent years, roughly three-quarters of CUNY community college students placed into at least one remedial math, writing, or reading course. Nearly 90 percent of these students will not earn an on-time degree, and six in ten remedial math students will have dropped out within two years. Whatever initial excitement spurred these students into college quickly fades, as some of their peers make progress toward a degree while they remain stuck in classes that feel like high school never ended—all while burning through financial aid. A better system is possible, and it starts with placing fewer students there in the first place. In fact, evidence shows that high-stakes placement tests are weak predictors of a student’s potential, and many students who end up in remedial education can succeed in credit-bearing courses. CUNY and SUNY are developing smarter placement algorithms that analyze more than just test scores, and this data-backed reform should expand. Of course, some underprepared students will require extra support to succeed in college. These students need access to programs that can build academic skills while maintaining momentum toward a degree. That’s where innovative new approaches can make a difference. Study after study has shown that reimagined alternatives to remedial education programs are working for underprepared students by improving learning outcomes, boosting college completion, and speeding the path to a credential. 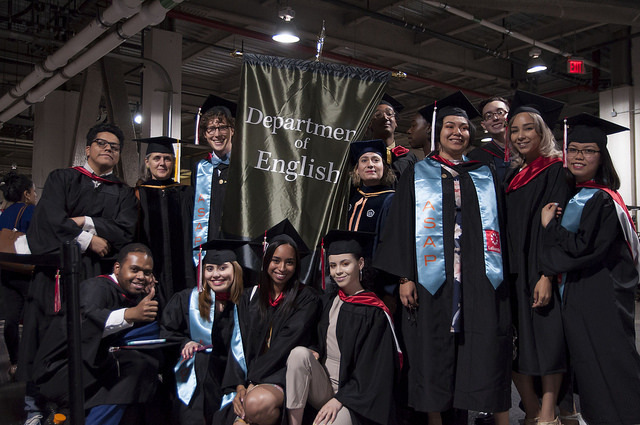 For instance, CUNY’s Start program has shown tremendous early results by providing an intensive, single-semester course combined with significant academic and non-academic support—all without using up financial aid. In addition, CUNY is expanding the highly-promising corequisite model, which places students in credit-bearing math and English courses bolstered by weekly support sessions. This approach is proving effective, helping students pass gateway math and English courses at higher rates and even improving college completion. Likewise, SUNY’s Math Pathways program is taking a similar approach to rethink math remediation for underprepared community college students. 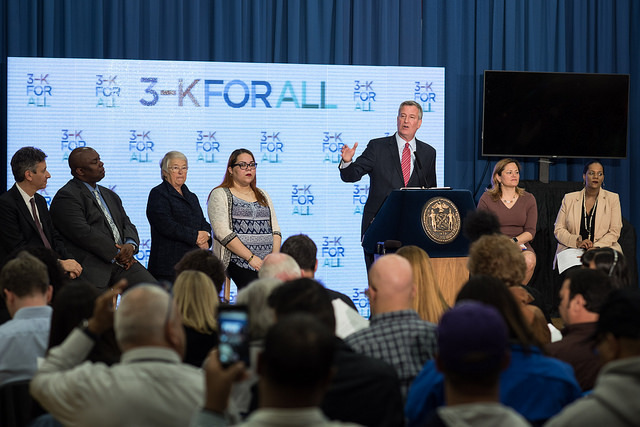 As evidence mounts that these new strategies are working, it’s time for New York policymakers to give remedial reform a major boost. First, the State Legislature should pass a law setting broad goals for improving support systems for underprepared students, significantly decreasing the remedial population, and aligning SUNY’s and CUNY’s approaches with best practices nationwide, while leaving the specifics up to education leaders. Policymakers should then fuel progress toward these goals by implementing a new time-limited challenge grant for community colleges, aimed at expanding remedial education reforms quickly and efficiently to campuses statewide. Traditional remedial education has been just another stumbling block on the road to a college credential. By investing in comprehensive remedial education reform, New York State can lift up underprepared students and put thousands more on track to a brighter economic future. Eli Dvorkin is editorial and policy director of the Center for an Urban Future, a New York–based think tank focused on expanding economic opportunity. On Twitter @WetWax & @nycfuture. The Excelsior Scholarship is a little over a year old, which makes it a good time to take stock. 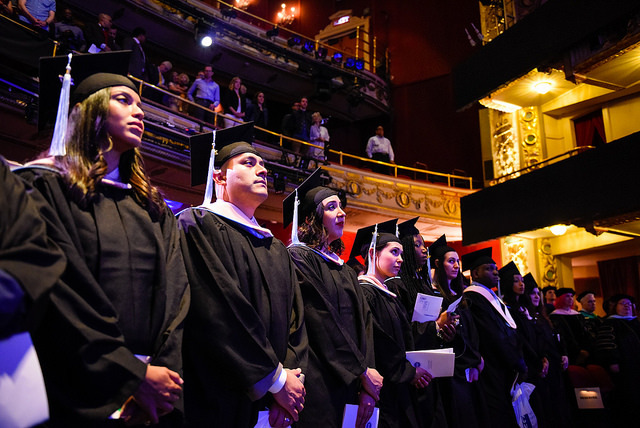 In October 2017 as the program launched, Governor Andrew Cuomo proclaimed, “Our first-in-the-nation Excelsior Scholarship is designed so more New Yorkers go to college tuition-free and receive the education they deserve to reach their full potential." Now that the program is in its third semester, we can explore the program’s freshman year experience to assess its impact, successes, and struggles. Who has benefited the most? Who hasn’t? And what elements need fixing? In Fall 2017, 20,086 students were awarded Excelsior scholarships and attended SUNY and CUNY colleges tuition-free. Excelsior is a “last dollar” program, which means that awards are made only after accounting for other grant aid received, namely federal Pell grants and grants from the New York State Tuition Assistance Program (TAP). Low-income SUNY and CUNY students typically receive enough aid from Pell and TAP to cover all or most of their tuition costs, so Excelsior funds have primarily gone to middle-class students, as designed by Gov. Cuomo. For the 2017-2018 academic year, the maximum family income threshold was $100,000, which increased to $110,000 for 2018-2019, and will rise to $125,000 for 2019-2020. 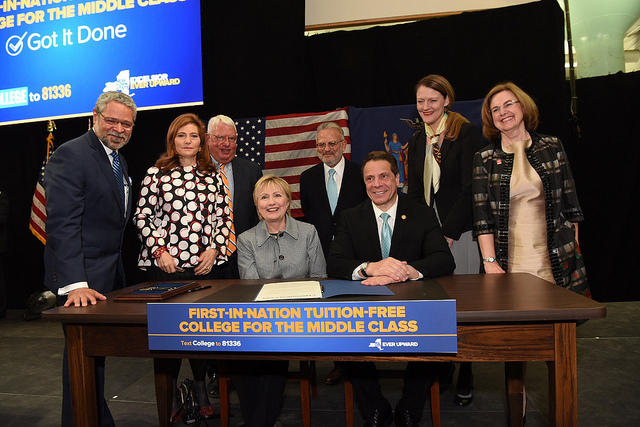 The creation of the Excelsior program brought much-needed relief to students and families caught in the middle-class college affordability squeeze, neither eligible for much financial aid nor easily able to pay the rising tuition and fee amounts at CUNY and SUNY. Another Excelsior beneficiary, Ryan Walsh, received small amounts of Pell and TAP during his first two years as a commuter student at the State University of New York at Albany. When he began his freshman year, he had $16,000 in family savings for college-related expenses, but that money was mostly gone by the end of his sophomore year. Looking ahead to his junior year, Ryan saw looming a big tuition bill and car insurance and mobile phone charges. “Money was stressing me out a lot,” he says. When Ryan’s dad heard about Cuomo’s proposal for the Excelsior Scholarship, it was a lifeline and a much-needed financial bailout. “Right when I ran out of money,” Ryan says, “the Excelsior Scholarship was announced.” Once Ryan got confirmation that Excelsior would cover his junior year tuition, he says, “I was so happy.” Receiving Excelsior eased his financial stresses. Now instead of panicking about money, Ryan worries about his upcoming graduation and breaking into the entertainment journalism industry. Low-income students have gained little financially from Excelsior, yet the governor and others have made the argument that low-income students benefit from the program’s simple message that anyone, regardless of family income, can go to college for free. Excelsior may be motivating more students, including low-income students, to prepare for and enroll in college, though it’s impossible to know. For Fall 2018, CUNY’s freshman enrollment increased to 39,938 students from 38,162 in Fall 2017, a gain of 4.0%. CUNY officials attribute the increase to two factors, including Excelsior and also an initiative waiving CUNY’s $65 freshman application fee for public school students. The increase may be the result of these and/or any number of factors, including that some students may now be choosing CUNY who otherwise would have chosen private institutions. SUNY has not yet released Fall 2018 freshman enrollment numbers. 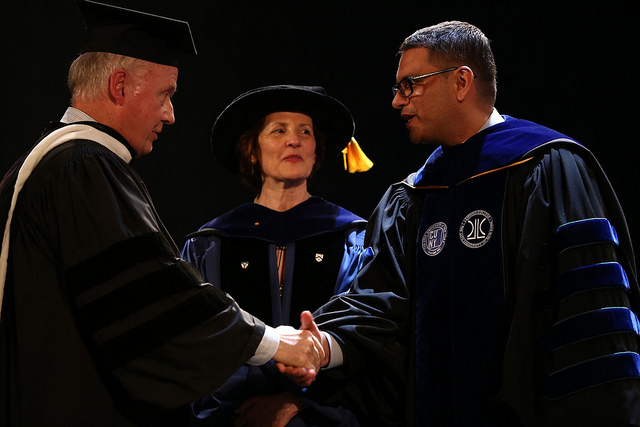 The 20,086 students who received Excelsior in Fall 2017 are a sizable group, yet they only represent 3.2% of the state’s total population of SUNY and CUNY students, which exceeds 630,000. Excelsior is barely a presence on some campuses. In Fall 2017, just 34 students received the grant at the 7,200-student CUNY Hostos Community College. Indeed, according to a report released in August 2018 by the Center for an Urban Future (CUF), a New York City-based policy think tank, only 0.8% of CUNY community college students received Excelsior. The CUF report indicates that students who attend SUNY bachelor’s-granting institutions benefit at much higher rates. At these institutions, approximately 6.8% of all undergraduates received Excelsior in Fall 2017. At SUNY Albany, where Ryan attends, more than 8% of the in-state resident students received Excelsior. Ghennah was well-aware of the 30-credit mandate when she applied for and accepted her Excelsior award. Feeling the pressure of Excelsior, she enrolled in and successfully completed 32 credits during her sophomore year. Now that she is a junior, she is on track to have 90-plus credits by the end of the current academic year and has planned out her courses on a color-coded spreadsheet so that she will graduate at the end of her fourth year, something only achieved by 27% of Brooklyn College students. Yet Ghennah and Ryan are just two data points in a crowd of some 20,086 Excelsior recipients. To better understand whether Excelsior is bolstering credit accumulation and on-time completion at CUNY and SUNY colleges, the State’s Higher Education Services Corporation (HESC) should release detailed Excelsior data to the public and to researchers. Thus far, HESC has released only basic Excelsior data, and belatedly so. Information on the Fall 2017 beneficiaries was released in July 2018, and information on the Spring 2018 beneficiaries has not yet been released as of mid-October. New public sector programs often encounter implementation road-bumps, yet Excelsior's first year was particularly rough. HESC admittedly had especially tight time constraints. The Legislature voted in support of Excelsior in April 2017, just months before the start of the academic year. Only after the HESC Board met in May and approved of the program’s regulations could the agency issue the online application, which it did in early June, requiring submissions by late July. This meant that the official eligibility criteria and application procedures only had two months to filter down to CUNY and SUNY students, most of whom were off campus, and prospective students. With a lack of clarity as to who was eligible, many students applied for Excelsior who neither needed nor were eligible for it. Of the 91,961 Excelsior applicants for Fall 2017, up to 28,362 did not need to complete the application, as they were already eligible for other grant aid to fully cover their tuition costs. Another 43,513 applicants were denied for failing to meet the eligibility criteria, with most of them—36,095—rejected because they did not meet the requirement of having earned 30 credits per year for each year of prior collegiate study. One Excelsior requirement that has yet to be well-communicated requires recipients who complete less than 30 credits during a full academic year to pay back the second semester of their Excelsior aid. The main HESC Excelsior website buries this requirement in a long list of FAQs. Given that the “payback” requirement is non-intuitive and unprecedented in financial aid program design, one would expect that it would be featured more prominently on the website and in HESC communications. In August 2018, at a HESC Board Meeting, Sarah Buell, a SUNY financial aid officer speaking as a member of the SUNY Financial Aid Professionals group, expressed the frustrations of the group when she said, “We have gone months without formal written guidance.” According to Buell, SUNY financial aid officers were struggling with how to answer basic questions from students and parents about Excelsior’s regulations and about HESC’s processing of applications. The following day, SUNY Chancellor Kristina M. Johnson’s office sent a memo to campuses directing their financial aid officers not to speak with the media. Razieh Arabi is one of the students who applied for Excelsior aid and was denied. A 37-year-old single mother, Razieh applied for Excelsior as she was transferring to CUNY Baruch College after having completed an associate degree at CUNY Queensborough Community College (QCC) with a GPA of 3.93. Razieh tells the story of her Excelsior denial with elements of tragedy, comedy, and anger. She had already felt wronged by the proprietary college sector that had wasted her time and money and by the federal financial aid formula that limited her aid while at Queensborough. Now she considered herself wronged by the retroactivity of a standard that she could have never known about, lacking the ability to see into the future, before Excelsior existed. As more and more students get caught up in Excelsior’s complex rules, the program is being exposed as a complicated financial aid initiative, just like Pell and TAP, and it may come to be seen as punitive, too, due to the payback requirement. Though HESC has said that the payback stipulation will be waived for students who miss the 30-credit cutoff because of documented hardships, the guidance is limited on which hardship appeals will be accepted and which won’t. A death of a parent clearly qualifies for a successful appeal, but will a stressful relationship breakup combined with family problems and a terrible summer session chemistry class be enough for a student with 27 credits due to an F in that chemistry class to maintain the scholarship via an appeal? The guidance is not definitive. Another requirement of Excelsior is that beneficiaries must stay in-state following graduation for the same number of years as they received the scholarship, lest their awards convert into loans. The requirement has been equated with indentured servitude. While both Ghennah and Ryan plan to stay in-state following graduation, other students will likely feel trapped. Advocates of expanding financial aid in New York State, like Tom Hilliard, who wrote the CUF report, say that Excelsior is the base from which incremental reforms can be made, reforms that make the promise of “free college” more real to more students. Hilliard has called for reducing the onerous 30-credit burden, eliminating its retroactivity provisions, and getting rid of the requirement that graduates remain in-state. This fall, Sepulveda plans to introduce, with other Democratic colleagues, a bill to modify the 30-credit requirement. The bill may adopt TAP’s satisfactory academic progress standards, or, at a minimum, according to Sepulveda, it will authorize HESC to count developmental education course credits, which are typically non-credited, towards the 30-credit threshold. Both Krueger and Sepulveda say that after the November election—in which Democrats are poised to gain control of the State Senate—there will likely be enough votes to pass changes to Excelsior, and Sepulveda projects that the governor will support some reforms. “If this is something that the governor deems reasonable,” he said, “I believe that he will give it a hard look.” If Sepulveda is right, Excelsior’s junior year may well look different from its freshman and sophomore years. Eric Neutuch is a freelance journalist. She hid her growing belly under loose dresses and oversized sweaters when she taught her classes of 30 college students. She avoided the departmental office during normal work hours, retrieving her mail early in the morning. If someone realized she was pregnant, she worried, some excuse would be found to deny her work for the next semester. With a baby on the way, losing her job would have put her and her spouse over the financial edge on which they delicately teetered. Finally, after securing work, the adjunct faculty member relaxed and let her pregnancy show. Still, she worried about the due date. If there were complications, would she be able to return to work within a week as her employer required? A story from a past generation? No. At CUNY, many adjunct faculty members – called “part-timers”– avoid telling their department chairs and colleagues about an impending pregnancy because their work is contingent from one semester to the next and they fear non-reappointment. Pregnancy discrimination is difficult to prove as adjuncts can be denied employment for any reason or no reason at all. Even after that hurdle is successfully cleared, CUNY requires that a woman return to work a week after giving birth. Often, this is difficult for the mother and child. Sometimes, it is impossible. Then, she faces the peril of being unilaterally fired, losing her health benefits as well as her income just when she needs them most. Sometimes co-workers willingly contribute unpaid labor to spell the new mother in the classroom and kindly administrators look the other way. But in many cases, it seems “easier” to find a new part-time faculty member to teach a class than to provide accommodations for the pregnant one. This discrimination arises from chronic understaffing, the well-worn trope of “interruption” to students’ education, and, especially, a pervasive attitude that, even though they teach more than half of all CUNY courses, adjuncts are seen as little more than the labor they provide. CUNY still pointedly disavows any institutional responsibility to even long-time workers. Adjuncts don’t even have the right to “bank” unused sick days from one semester to the next, and the oddity of counting only their classroom hours as “work time” makes most ineligible for even the limited protections of the Family Medical Leave Act. We are hopeful, though, that CUNY will soon see fit to enter the 21st century. Recently, two New York faculty unions, United Federation of Teachers and SUNY’s United University Professors, have won paid parental/caregiving leave for their members. And CUNY’s new interim chancellor, Vita Rabinowitz, is a renowned feminist scholar. While working at Hunter College, she was the founder of the Gender Equity Project, intended to clear away obstacles facing women faculty. At a recent Board of Trustees meeting, over a dozen adjuncts asked her to utilize a new state law as a vehicle for the kind of workplace justice she pioneered earlier in her career. Under New York Paid Family Leave, workers pay a small supplement and receive partial pay and the right to return to their job for up to 12 weeks after childbirth, adoption, or to care for a sick family member. While private employers are required to implement the PFL, unfortunately, public employers, such as CUNY, can choose whether to opt in or not. So far, CUNY has failed to do so. Currently, CUNY has over 15,000 “part-timers” who need relief from uncertainty. It’s time for their employer to provide this small modicum of security and stability. Then, paid family leave would make CUNY a place where pregnant women can proudly display their bellies for all the celebration that creating new life brings. Pamela Stemberg is an adjunct lecturer teaching at CCNY and Hostos College. Marc Kagan is a graduate assistant teaching at Lehman College. Dr. Gail O. Mellow, the president of LaGuardia Community College, contacted fellow City University of New York (CUNY) presidents to gather statements in support of the proposed Excelsior Scholarship program on behalf of Governor Andrew Cuomo, before the proposal was passed and signed into law earlier this year. Gotham Gazette previously reported that the governor’s office launched a push to bring CUNY leaders on board with the plan early this year, at the same time as the governor was pushing for greater oversight over the system and an investigation conducted by his appointed Inspector General was expanding. The role played by Mellow was rumored but not known. LaGuardia College was the site where Cuomo both announced Excelsior in January alongside Vermont Senator Bernie Sanders and ceremonially signed the bill alongside Hillary Clinton in April. A public records request filed by Gotham Gazette requesting Excelsior-related emails between Mellow and Cuomo administration officials was initially denied, and only partially granted upon appeal. The heavily redacted emails block out much of the correspondence. What they do show is Mellow sending Dan Fuller, Cuomo’s Assistant Secretary for Education, statements from Bronx Community College President Thomas Isekenegbe; Hostos Community College President David Gómez; Medgar Evers College President Rudy Crew; Brooklyn College President Michelle Anderson; York College President Marcia Keizs; and College of Staten Island President William Fritz. The statements forwarded by Mellow would ultimately appear in a press release that the governor’s office put out in May, touting the support of CUNY and SUNY presidents for the scholarship. Portions of the emails that came immediately before or after the statements, or direct interactions between Mellow and Fuller, are largely redacted. In one example, the email from Mellow followed “Dear Dan,” followed by a black box, followed by Mellow signing off as “Gail,” with nothing visible in between. It’s not uncommon for elected officials drafting and pushing legislative proposals to enlist and work with affected individuals, other officials, activists, and community members. However, a campaign to create a shift of the Excelsior Scholarship’s magnitude may be more likely to be centrally coordinated, perhaps by CUNY Chancellor James Milliken or his staff. It is unclear why Mellow took the lead in this case, and what she was telling her colleagues, many of whom were skeptical of aspects of the plan, on behalf of the governor’s office. The scholarship will cover tuition for CUNY and State University of New York (SUNY) students from households with incomes up to $125,000 a year by 2019. The fact that it would cover tuition alone, after all other grants and scholarships have been applied, and requires students to finish on time and live in the state for a period after graduation has drawn criticism from some students, activists, and educators. The exchanges have been carefully redacted so that the emails between Mellow and Fuller contain only the statements that Mellow is sending, which became public, along with brief notes like “Here is another quote.” The subject lines are similar; examples include “FW: quote for NY’s Excelsior scholarship,” “Additional quote,” and “RE: another one more & …” This seems to indicate that Fuller was requesting additional quotes. Streich did not detail what Mellow had told the other presidents to elicit their responses, nor did she give details of or characterize Mellow’s conversations with Fuller or other members of the Cuomo administration. Fuller did not return requests for comment. Emails to spokespeople for the governor were not answered. CUNY colleges and affiliated nonprofits continue to be the subjects of a wide-ranging state Inspector General investigation into their structure and financial operations. The investigation released a preliminary report in November, and continued to expand early this year, at the same time as the governor’s office was seeking support for Excelsior and Cuomo was calling for additional inspector generals – which he would appoint – to oversee CUNY and SUNY, as well as new taxes on their affiliated nonprofits. These proposals were not ultimately enacted. One email in the chain involves Anthony Bernal, an aide to Dr. Jill Biden, the wife of former Vice President Joe Biden and a professor at Northern Virginia Community College. Bernal is responding to an email Mellow is copied on, in which Fuller has sent a draft of a statement that the governor’s office wants to attribute to Jill Biden in support of the proposal. Mellow is described as “[working] closely with Dr. Biden on these important issues.” The statement does not appear to have been ultimately used by the governor’s office.